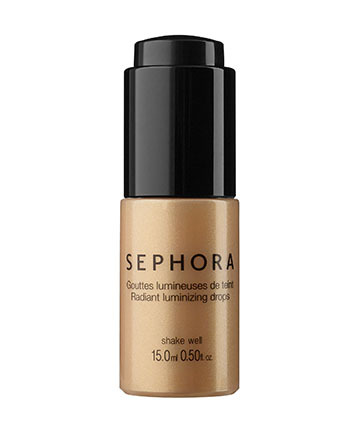 Sephora Collection Radiant Luminizing Drops, $14 Available in trendy bronze, pink, and champagne shades, these illuminating highlighter drops can be added to any other products you put on your face or worn alone. Simply use the dropper to pump up the radiance on dull winter skin. Pro tip: Apply to your cheekbones, the bridge of your nose, and your brow bone.